It’s not always easy for folks who want to make money with mobile app development. Mobile app developers are constantly striving to find new ways to bring additional revenue in for their creations. Just like every business, the world is not always friendly unless you identify multiple revenue stream options to make your work worthwhile. this is why we have created this post to help you to make money by creating and selling your own mobile features. Since building an app usually takes around $25,000 to $100,000, organizations and companies are turning to iBuildApp to find free and inexpensive apps and features to market their businesses in the mobile age. This gives web and mobile developers a unique advantage. You have a chance to make money by creating and selling your own features and reach out to these people who don’t have development experience. Selling a feature for a few bucks makes you money and helps other people feel better about how they spend their money with mobile apps. Let’s take a look at this exciting new area from iBuildApp to see if you can turn your features into cash to fuel your company. Click here to navigate to the developer community that allows you to learn about how to sell your own features and get started with the process. If you checkout the graphic below, the process is rather simple, since you just think of an idea, create you feature, copy in the code and sell it through iBuildApp. Click on the Create Your Own Extension Features button and you’re ready to go. 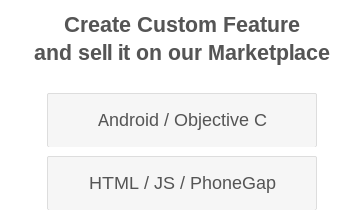 Click the Create My Feature button in the upper right hand corner and select whether you are using Android / Objective C or HTML / JS / PhoneGap. The interface then reveals an area to paste in your source code and test it out with a full preview on the right hand side. Play around with the app in the iBuildApp interface and click on the buttons until it is completely ready for publication. Once you’re done you can submit it to the marketplace for everyone who uses iBuildApp to play around with and implement on their own mobile apps. 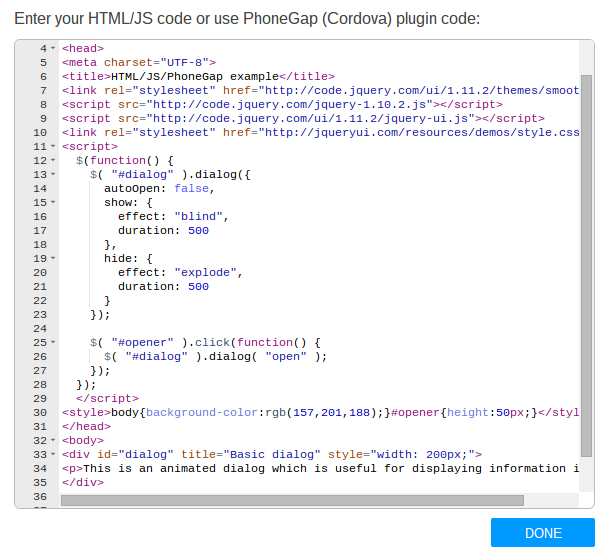 As long as you create your feature with HTML, JS or through PhoneGap you can put that code into the iBuildApp widget in order generate the preview and present it in a reasonable fashion on the iBuildApp marketplace. Not everyone is familiar with the iBuildApp interface, and you might just be getting started off with developing your own apps and features. There is no need to worry, since the developers tab includes a Quick Start Guide to show you how to get started with coding and best practices for developing your features. The iBuildApp interface also includes a full Developers page for you to build, deploy, test and publish your features that people can put in their mobile apps. You can also click on the Our Licenses link to check out the legality of the whole system. This area outlines the terms and conditions for reproduction and distribution of your feature, since this is your business and money, so we want to make sure you understand everything. Where Can People Buy Your Features ? Once you create a feature for people to put in their own mobile apps, you can publish the sales page and sell it on our Features MarketPlace. Please let us know if our article how to Make Money by Creating and Selling Your Own Mobile Features was helpful!